Largest supplier of LDPE, polypropylene and polyester masking bags in the Automotive Industry. 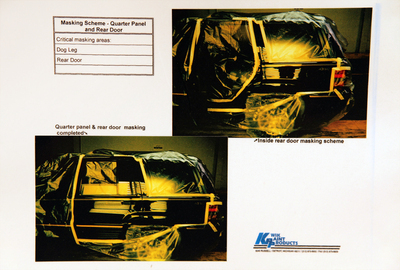 This masking process makes it convenient to repair various panels (i.e. 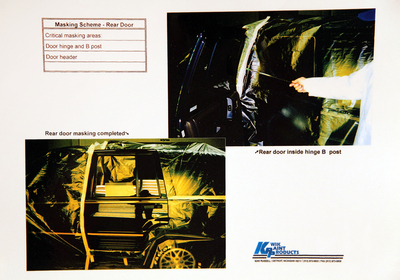 doors, fenders, hood). 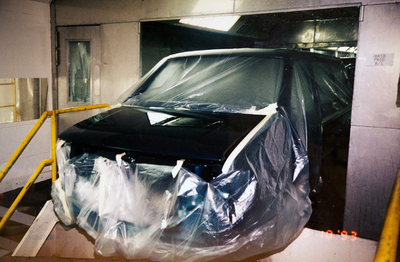 The process eliminates overspray onto the other parts of the vehicle that exists with most other masking methods. Bags come in various sizes and are conveniently packaged on a roll for ease of dispensing and operator use. High temperature bag process, the unit goes through the oven. Gas-off & wet masking operations can be eliminated. High temperature bags are treated on the outside so that the paint and over-spray will adhere, not flaking off. Low temperature bags/covers (must be removed prior to the unit entering the oven). Both high & low bags can be configured to fit a pick-up tailgate to a full truck body. 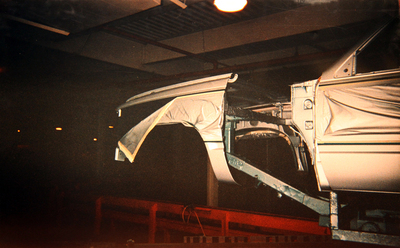 The bagging process helps reduce overall VOC emissions by repairing a panel rather than the entire vehicle.